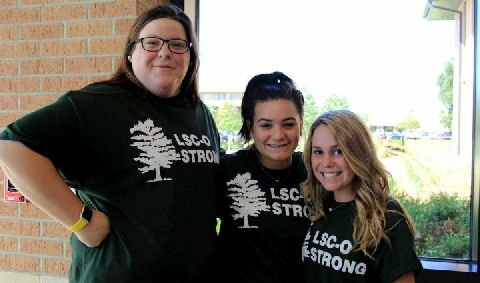 Instead of learning in the classroom, many Lamar State College – Orange students spent Friday morning in the Student Center learning best practices to protect themselves in emergency situations. 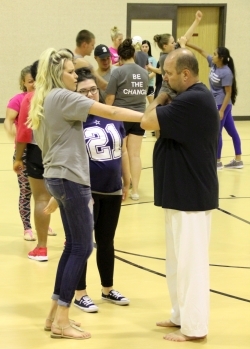 The Target Hardening self-defense workshop, sponsored by LSC-O Student Activities, taught students the importance of being aware of their surroundings, how predators choose their victims, and how to avoid situations that could lead to being crime victims. During the event in the Student Center, the students experienced hands-on self-defense training for different situations, including knife and gun attacks. Chase Courtier, a Liberal Arts student, said the workshop was very informative and he is much more confident in his abilities to protect himself now. 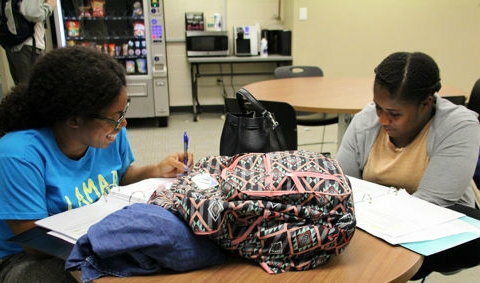 Criminal Justice major, Taylar May, said she learned how to get out a chokehold. “I’ll feel safer now walking to and from my car at night in the dark,” she said. Lasee Ford, a dental assisting student, said the workshop made her more aware of potentially unsafe situations. “It’s sad how scary life is getting. You can’t even go anywhere by yourself anymore,” Ford said. More Lamar State College – Orange Student Activities events are scheduled throughout the Fall 2017 semester. 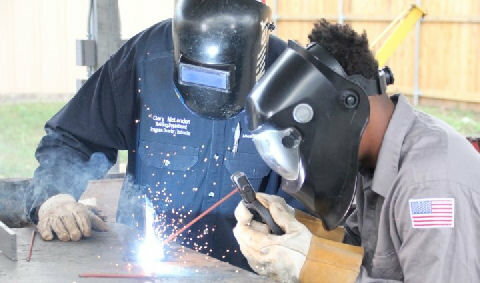 For information about those events, call 409-882-3392 or visit www.lsco.edu/activities/activites.asp.